New union regulations have brought janitors together like never before! 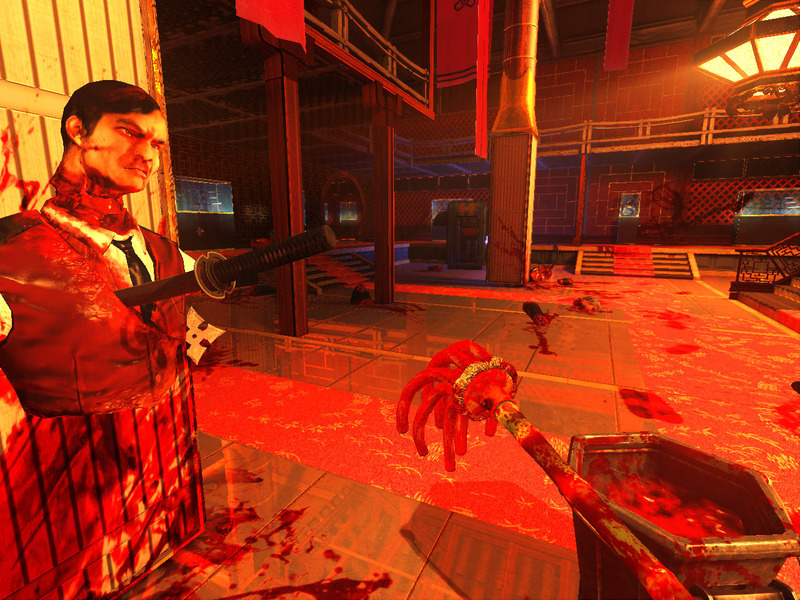 All restraining orders keeping Space-Janitors and Yakuza cleanup crews away from each other have been dropped, and they can now frolic together in a blissful splash of blood, viscera and a hard day’s labor. 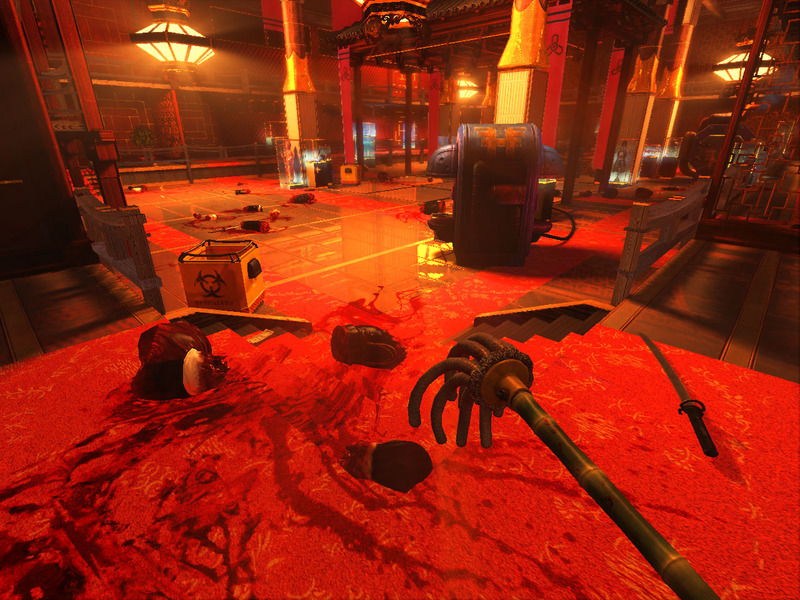 Viscera Cleanup Detail: Shadow Warrior edition now comes free with any purchase of the regular Viscera Cleanup Detail game. 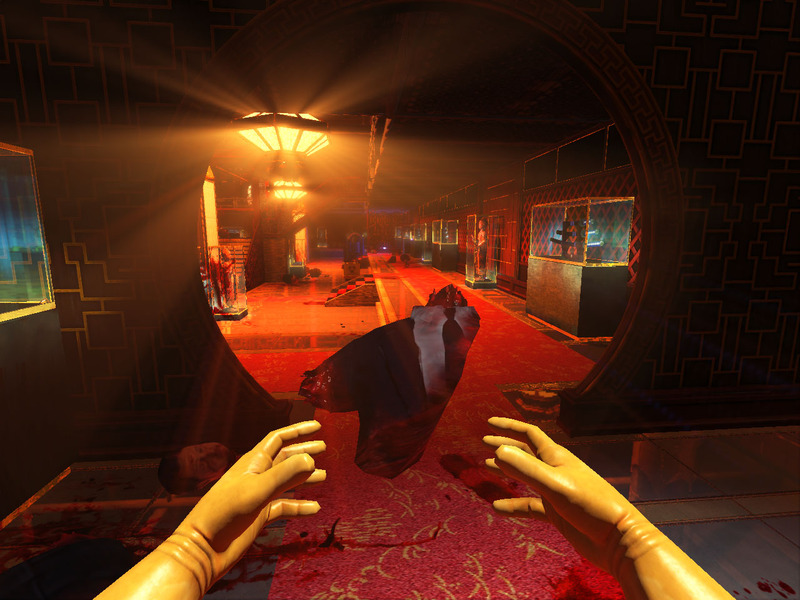 So any of you who happened to pre-order VCD will get to download and play the Shadow Warrior edition for free! Anyone who has already pre-ordered through the Humble Widget can check their email for their Steam-Key. Here is some irresistible footage to sway your hand toward the dark-side! how do we download it??? So is this available to people who ALREADY pre-ordered it? and how do i get it? You go to the email that was sent to you when you pre-ordered it, and go to the link, and it will have a box that gives you the steam code to get the Shadow warrior version. Yes, check the email you received from Humble when you preorded for the page link. That page should have a Steam key for VCD:SW. This is for pre-orders at any time; past, present, future. Pre-ordered the game and tried playing it, but I’m keep having this “Built With UDK” error message. The game won’t start. ;_; I looked for a solution on my own before leaving this comment and some said try running UE3Redist. So I did and I instantly got this message saying “You must have at least Windows XP Service Pack 3 installed. Installer will now exit”. I’m using Windows 7 64bit…Could you please help? Have you tried without anti-virus running? And lastly, where did you get the download from(IndieDB, Humble, Atomic Gamer or some place else)? We’ll do our best to help you out! I only tried SW for now(by steam), but I did have same problem also with the VCD which I downloaded from IndieDB. I didn’t try without anti-virus running yet. I’ll give it a try! I sent email on 16th. It may have been classified as spam, could you please check?